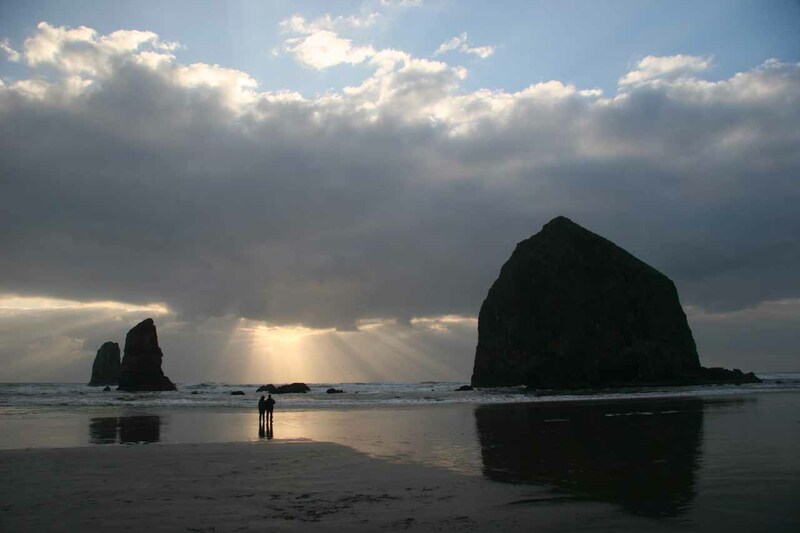 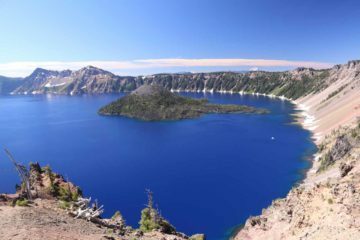 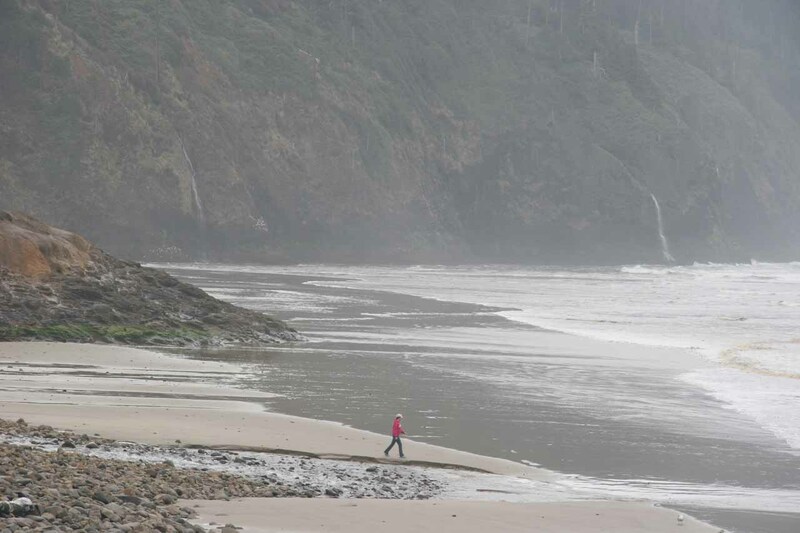 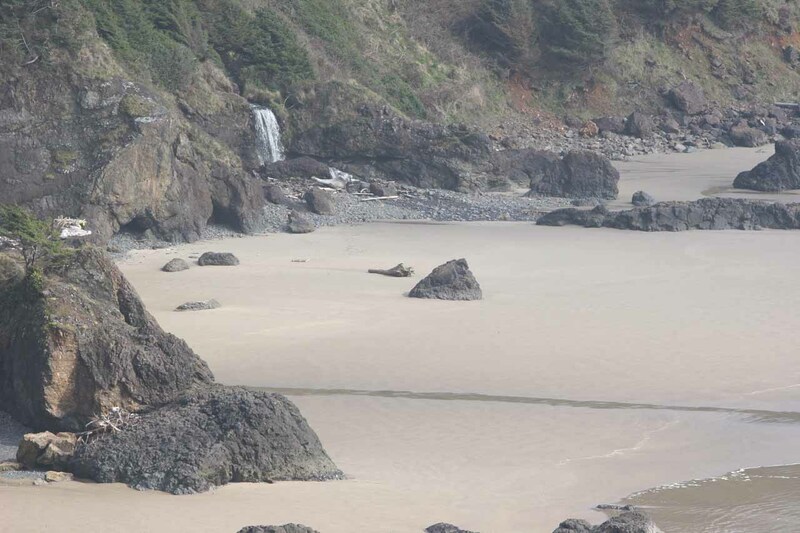 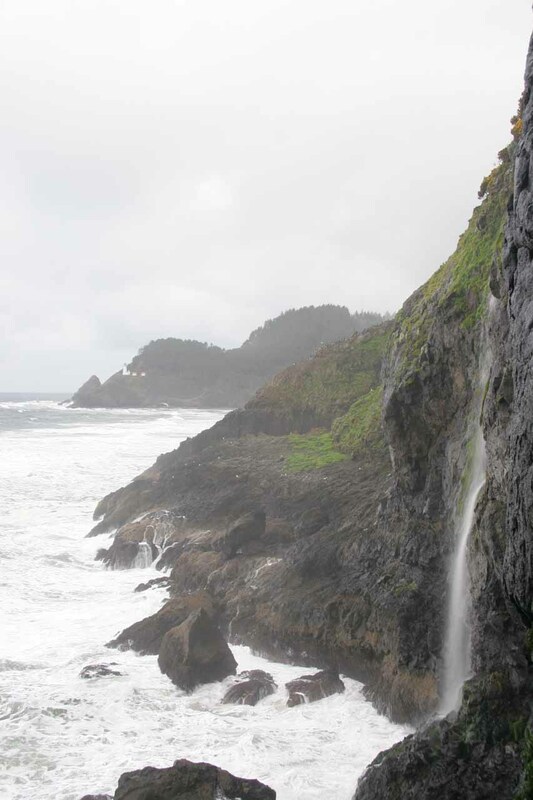 This Oregon Coast Waterfalls page is what we’ve put together to honor the plethora of mostly nameless waterfalls that dive right onto a beach or into the ocean. 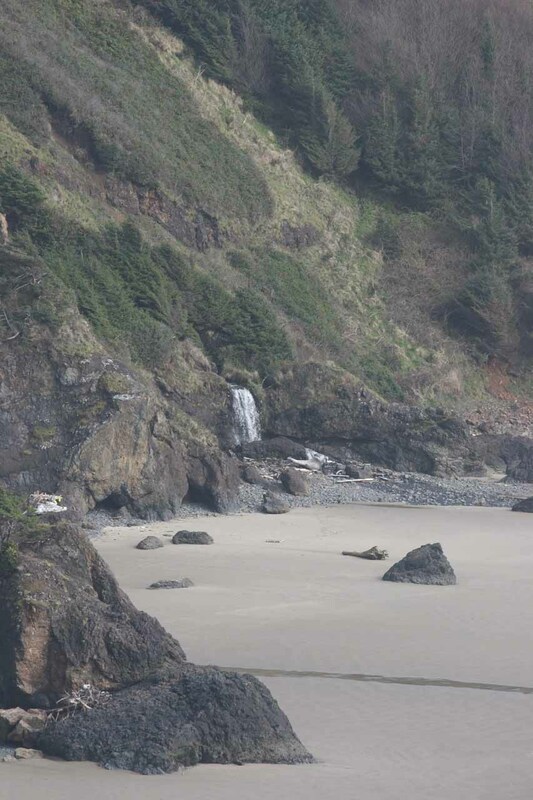 We find such waterfalls to be rare enough, but here in Oregon, they seem to be a dime a dozen. 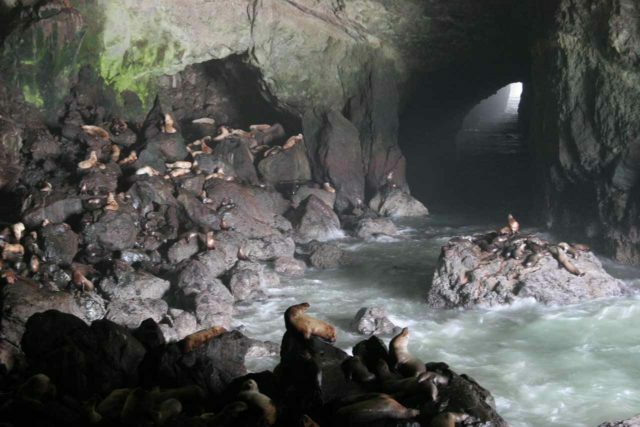 So we’ll just put up the photos of the waterfalls we have seen and accompany them with descriptions so you may try to find them yourself (Note: the above photo is of the waterfall at the lighthouse view from the Sea Lion Cave about 11 miles north of Florence). 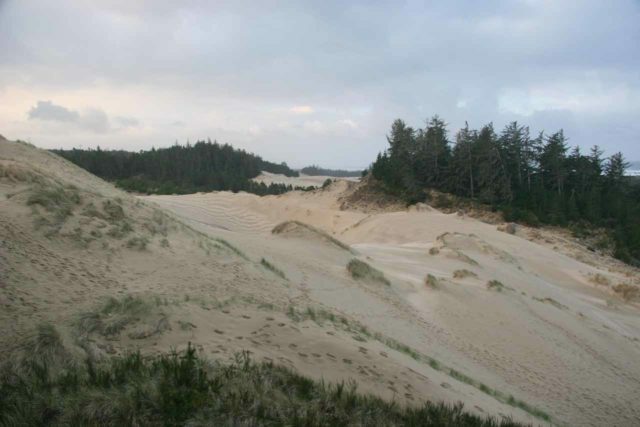 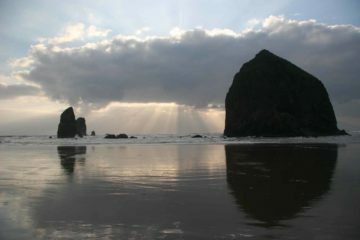 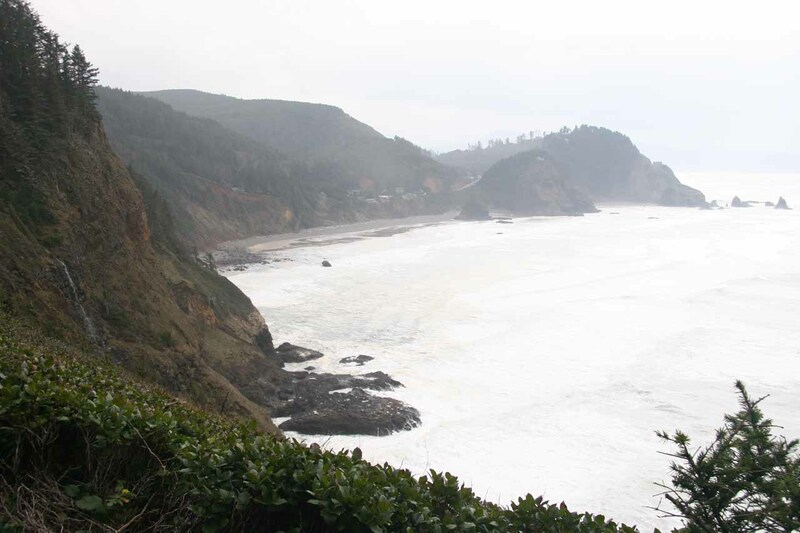 All photos here have been taken along Hwy 101 along the Oregon Coast. 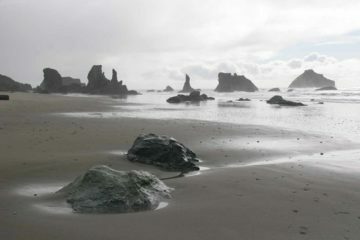 The actual locales accompany the photos below. Note that the photo taken at the top of this page is from the Sea Lion Caves a short distance (11 miles) north of Florence. 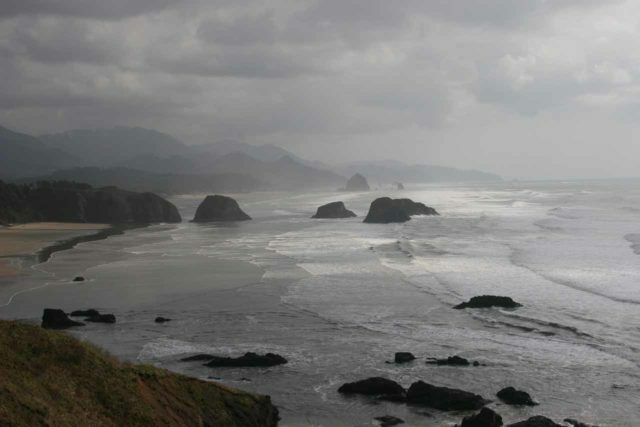 For additional context, the coastal town of Tillamook towards the north end of the drive highlighted on this page was about 73 miles (90 minutes drive) west of Portland. 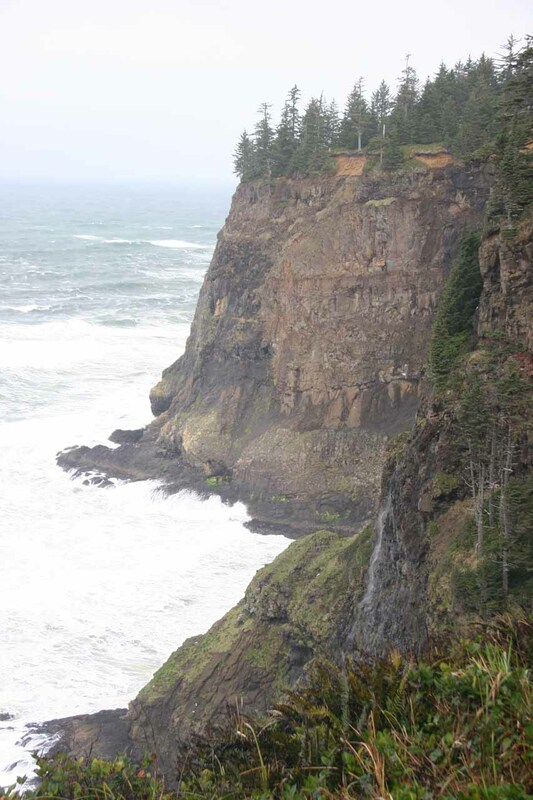 Moreover, Eugene was about 61 miles (under 90 minutes drive) east of Florence.